Like the first episode, the second one offers several introductions and reintroductions, continuing the process of setting the stage for the various plot lines for this season. We catch up with Bran and his companions as they continue their travels northwards and Bran gets to see the three-eyed raven in dream once more. They also encounter two new companions, one of whom seems to be every bit as cryptic as the raven. 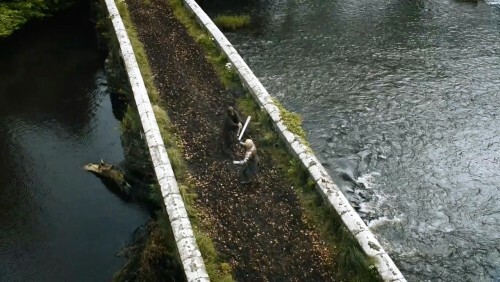 Further south, news of the presumed fate of Bran and Rickon reaches the remnants of their family, bringing much distress to Catelyn and Robb. We also glimpse the ultimate cause of their distress, who is finding himself in very unpleasant circumstances. King’s Landing is prominently featured, delving further into the competition over Joffrey between his mother and his bride-to-be. There is also a much-anticipated scene—and a much-anticipated new character—featuring Sansa as she is invited to dine with the Tyrells. Her sister Arya, meanwhile, also receives an “invitation” of sorts as she, Gendry and Hot Pie run into a colourful group of people—yes, several more eagerly anticipated introductions—as well as an old acquaintance.